We know that detox tea, weight loss tea, and slimming tea all offer up some impressive benefits. It’s no wonder they’ve become all the rage. You’ve probably seen health gurus and Instagram celebrities posing with their personal favorites. They all tout the benefits of detox tea. But how should you use them? Or more importantly, how do you get the most out of them? If you’re new to the world of detox tea, it can be a little overwhelming. There are so many products out there now, it’s hard to know what exactly you should do. We’ll go over the best ways to use detox tea and tips to get maximum results. One of the best ways to use detox teas is for weight loss. You can use them to help lose a few pounds, jumpstart a weight loss journey, or to maintain a healthy weight. 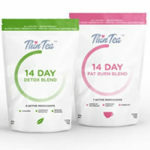 The beauty of detox teas is that they can help all shapes and sizes and in a healthy, natural way. Teas of all kinds contain properties that aid in weight loss. Many studies suggest that drinking teas with flavonoids and caffeine (like that of green tea) helps promote fat oxidation, increases metabolic rate, and improves insulin activity. Fat oxidation is when larger stored lipid (fat) molecules are broken down into smaller parts, such as triglycerides and fatty acids. This is an important function in fat loss, so the promotion of fat oxidation is a great benefit of tea! Also, our metabolic rate is the speed that our body burns calories for fuel and energy. So having a higher metabolism means you’re burning more calories, which then leads to weight and fat loss. One particular study reported that individuals who drank green tea and caffeine for 12 weeks, lost an average of 2.9 pounds even when they didn’t alter their normal diets. Research also shows that drinking green tea can result in an additional 100 calories burned during a 24-hour period. The weight loss effects of tea, especially green tea, are seen with as little as 2.5 cups per day. Matcha green tea is also a great way to help lose weight because the entire leaf is consumed versus regular tea that involves steeping the leaves and then drinking it. 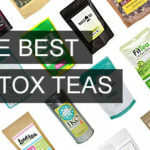 Another important use of detox teas are for, well, detoxing! Pure and herbal teas contain ingredients that help cleanse the body and give you a nice refresher to have you feeling and looking your best. The polyphenols and catechins in tea have anti-inflammatory and antioxidant properties. This powerful combination helps ward off life-style related diseases, reduces harmful free radicals, and promotes overall wellbeing. Antioxidants also help improve skin tone because they can increase circulation and cell metabolism. This also leads to firmer skin and reduces wrinkles, acne, sun damage, and scars. If you’re feeling sluggish or bloated, detox teas contain cleansing agents such as laxatives and diuretics that can help. These cleansing properties will help you shed any excess water weight that may be causing puffiness or sluggishness. Our diets are often lacking adequate amounts of fiber and instead bombarded with processed foods full of sodium, fat, and sugar. This can lead to irregularity and bloating. A gentle detox can help correct this and get you back to feeling great. The detox teas themselves pull a lot of the heavy weight, however they’re not liquid miracles. You need to make sure you’re fueling and treating your body right to help supercharge the potentials of detox teas. There are also ways to get the most out of your teas and maximize the results. Let’s see what some of these tips are. 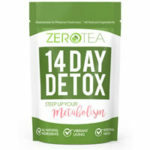 The vast majority of detox and slimming teas are broken up into an AM and PM regime. The AM detox teas contain energy, metabolism, and fat-loss boosters. Drink these in the morning to help get you ready for the day and into fat-fighting mode. You can also drink AM teas before your workout to help increase your performance. These teas can also help suppress appetite. The PM teas contain cleansing and detox agents such as diuretics and laxatives. This helps shed any excess water weight and promote regularity if you’ve been feeling bloated. Teas with laxatives usually will produce a bowel movement anywhere from 6 – 12 hours after consuming. PM teas also help calm and relax your body. This is beneficial because chronic stress can lead to trouble sleeping, weight gain, increased risk for heart attack and stroke, suppressed immune system, and may speed up the aging process. These teas can also aid in digestion and support the function of organs like the liver. Each slimming tea may have their own specific directions on how to brew or drink their product. However, you want to brew your tea with care. There’s a good way to brew your tea and a bad way. Boiling water is not the best for tea’s beneficial little chemicals called catechins. Normally we boil water and immediately pour it over the tea. Instead, boil your water and let it sit for about 10 minutes. After that, pour your water over the tea and let it brew for about 1 minute before drinking. The brew time is preference, longer or shorter, depending on how strong you like your tea. The important thing is to let the original boiled water sit before combining it with your tea. When detoxing, it’s incredibly important to stay hydrated. A lot of times you’re losing additional water through cleansing. Drinking 9-13 cups of water per day will help keep you refreshed and prevent any potential side effects. Exercise doesn’t have to be rigorous and last for hours on end. Even just taking a brisk 30-minute walk will do wonders for your body and your detox. Have a goal to workout 3 – 4 time per week. Detoxing is a time to eliminate as many bad habits as possible and implement healthy, nutritious ones. Focus on eating whole foods such as vegetables, fruits, nuts, legumes, lean proteins, and low fat dairy. Cut out processed foods and snacks that have a surplus of fat, sugar, and sodium. Also, we don’t need all those weird chemicals and preservatives that are added into snack foods. To make sure your body is functioning at its best, give it a good night’s rest. Aim to hit the sheets for a solid 8 hours. Your body and detox will thank you! Detox teas are here to help you look and feel your best. They naturally boost weight loss and help cleanse the body. Be sure to keep these tips in mind to get the most out of your detox tea. If you’re looking for the perfect detox for you, check out our list of the 10 best detox teas.